One of my favourite ways of learning foreign languages is to immerse myself in the media that is produced in that language. When I was learning Catalan, I really enjoyed listening to podcasts, reading newspapers, and watching television in this wonderful language, so I thought I'd compile a list of my five of my favourite Catalan TV shows and tell you a little bit about each one. Temps de silenci focuses on the life of a wealthy Barcelona family, the Dalmau family, from shortly before the Spanish Civil War (1936-39) until the end of the last century. The series tells the stories of the Dalmau, Comes, Hernández families and frames them through the social, cultural, and political events of the epoch. I started watching it as a way of revising for my Catalan finals at Birmingham last year and it taught me so much, not just about the Catalan language, but also about 20th-century Catalan history too. The story follows the personal journey of the narrator, Isabel Dalmau, a young upper-class Catalan, and her working-class love interest, Ramon Comes. It is something of an impossible love because of the prevalent class differences and this serves as a thematic construction throughout the series, intertwining this narrative with the history of Catalonia from 1935 to the turn of the millennium. In an easy-to-understand manner, it deals with events such as the Spanish Civil War and its aftermath, daily life and repression in Catalonia during the Franco regime, the restoration of democracy, the 23-F coup, changing attitudes of the role of women in Catalan society, and the 1992 Olympics. It was the first period series about 20th-century on Spanish television and its considerable success kicked off a trend that led to other period dramas, such as Cuéntame cómo pasó (Tell me how it happened - a series following the Alcántra family in the later years of the Franco dictatorship and the early years of the transition to democracy) and Amar en tiempos revueltos (To love in times of revolt - set in the times of the Spanish civil war and the early Francoism), being commissioned by the Spanish state broadcaster, TVE. When I was back visiting friends in Barcelona in December 2015, everybody was talking about this fantastic series that was being aired on the Catalan broadcaster, TV3, at the time. It features an A-level philosophy teacher, Merlí Bergeron, who stimulates his students to think freely through unorthodox teaching methods that divide his students, their families and his colleagues. 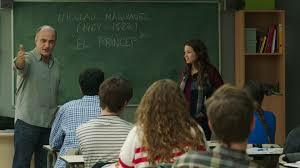 Merlí is clearly influenced by films like the Dead Poets Society and there is a conscious effort to bring a basic understanding of philosophy to the audience in an accessible way. Each episode features the approaches of some great thinker or school, such as the Peripatetics, Nietzsche or Schopenhauer, and these link with the events of the characters during that episode. I've really enjoyed the two series of Merlí so far (a third is rumoured to be coming soon) and it has made me somewhat nostalgic for the passion and excitement of my own sixth form days. Cites (Dates) is inspired by the 2013 British series Dates (created by Brian Elsley - which I still haven't seen). 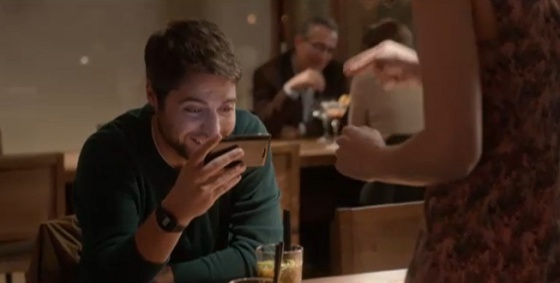 It mixes romantic comedy and drama focussing on a number of first dates of people who have met via a Tinder-like app. Up to 24 actors are featured in the dates, which often leads to sexual or romantic relationships (unlike my own haha). From the point that the two people meet (often in a bar or a restaurant), the characters aim to carry out their intentions while undergoing awkward and/or romantic moments (much like me on a date). The dates are all set in Barcelona (there are very few series in Catalan that are focussed in Catalonia's other cities, it seems) and people of different ages, sexual orientations, and marital statuses are involved. Nit i dia is a thriller that revolves around the daily lives of police, forensic doctors, and judges who must solve crimes and murders and deal with the darker side of reality. Nit i dia chronicles the daily life of a coroner and the conflict between her desire to lead a normal life and daily contact with the harsh reality. The series begins on the day that a coroner Sara Grau, who is married to a senior executive of a multinational company, starts IVF treatment; that day, in an autopsy, recognises an unidentified corpse of a stranger with whom she had a brief affair and, from that point on, a chain of events occurs that disrupts the life of the protagonist and all those around her. It also features wonderfully nuanced characters such as an elderly judge caught between two women, a psychiatrist traumatised by their past, two-faced executives or criminals who cannot stop themselves from reoffending. 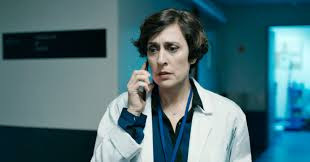 In many ways, it is similar to the BBC series Silent Witness, however rather than just focussing on the forensic doctors (as Silent Witness does very well), it is also a portrait of contemporary Barcelona, with its lights and its shadows. 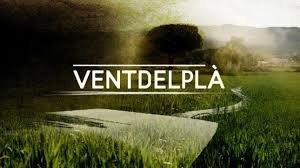 Ventdelplà tells the (fictional) story of how a woman from Barcelona, a former doctor no less, attempts to rebuild her life in a small, rural Catalan village in the province of Girona after fleeing with her two children from physical and emotional abuse from her lawyer husband. Despite the dramatic nature of the start of the series, Ventdelplà dramatises the dramas, love stories and issues that exist in the lives of the inhabitants of rural Catalan villages. I must admit: I'm only 50 episodes into Ventdelplà (there are 330 episodes) and it is the only one of the series in this article that I haven't finished, So far, it's featured a woman liberated from an abusive marriage, conflict between rural and urban lifestyles, a character dying from terminal illness and its effects on her teenage son, and the difficulties that a young protagonist must endure after becoming paralysed in a car crash. The fact that it is set in a rural Girona town is something that is really refreshing considering that the vast majority of Catalan-language dramas take place with Barcelona and its confines. In fact, most of the scenes in this series were shot in the small town of Breda, in the la Selva region.